but it returns 0 (it should actually return 500). Any idea on how should I tweak this? The following formula will sum the values based on the month and name. 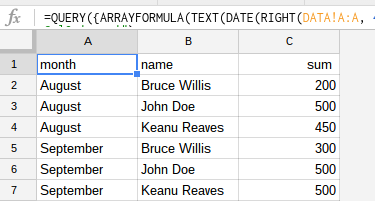 First the date notation needs to be rearranged (DATE) and then turned into the corresponding month name (TEXT) plus the other columns are added to the data range of the QUERY. 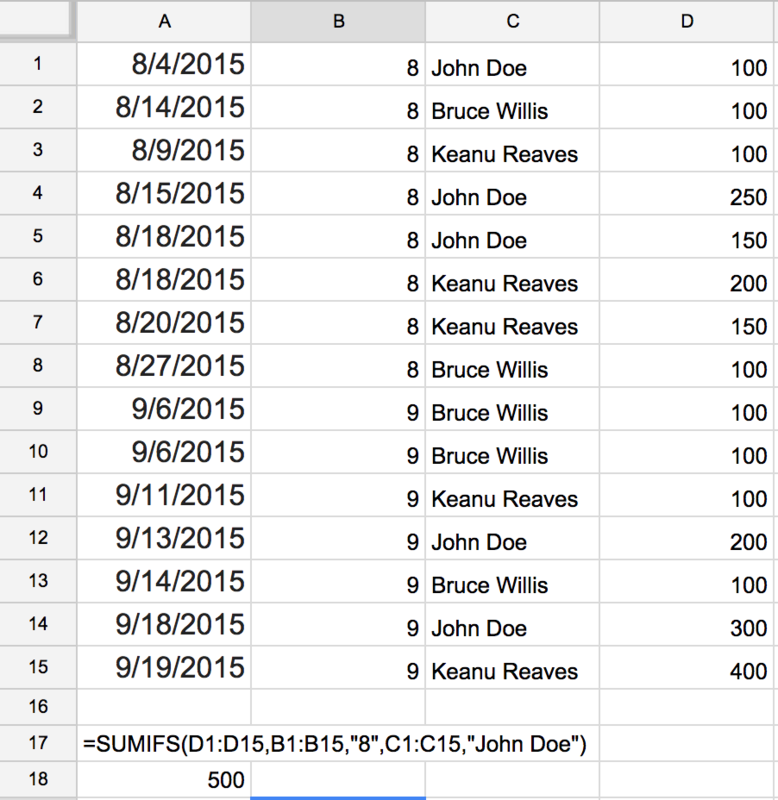 After that the QUERY is GROUPED BY the month and the name and the corresponding summation of the values.